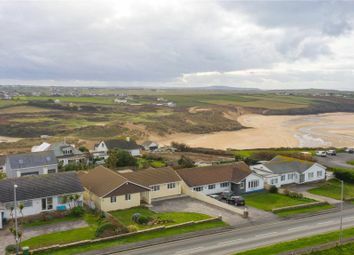 Breath-taking views across West Pentire and Crantock beach from the rear and Newquay Bay from the front. 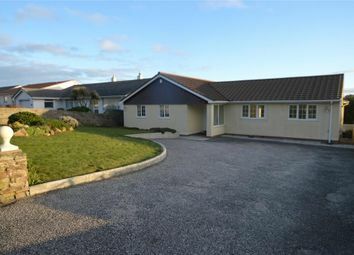 Spacious detached bungalow designed to maximise the location and views. Benefitting from a detached double garage and ample parking space. 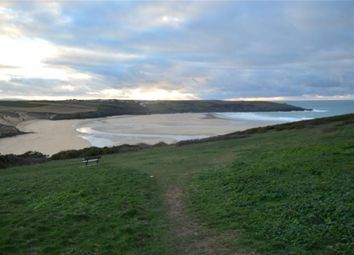 Walking distance to Crantock and Fistral beaches. EPC Rating D. Viewing highly recommended. 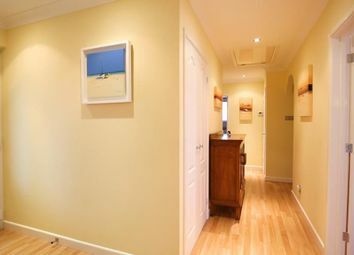 Entrance Hall Wide hallway with laminate flooring, two radiators with trv, multiple downlights, smoke alarm, doors to ground floor accommodation, cloak cupboard housing the broadband router, loft access hatch, further cupboard housing the water tank and slatted shelving, central heating thermostat control. Study6'11" x 9'9" (2.1m x 2.97m). 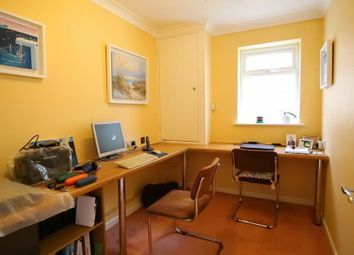 Radiator, uPVC obscure double glazed window to side, cupboard housing the gas boiler, telephone point, Ethernet cables. Utility Room9'8" x 9'2" (2.95m x 2.8m). 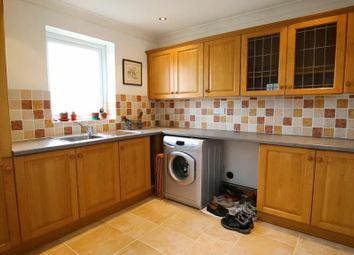 Tiled flooring, radiator with trv, solid wood base and wall units with laminate worktop over, tiled splashback, space and plumbing for washing machine and tumble dryer, uPVC double glazed door to rear garden, uPVC double glazed window offering views over the rear garden towards Crantock, spotlights. 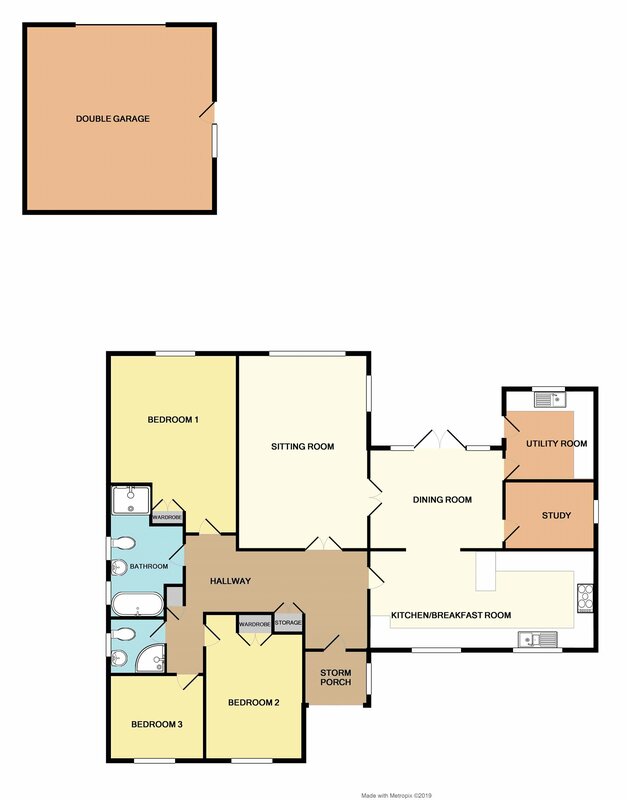 Sitting Room19'7" x 13'1" (5.97m x 3.99m). 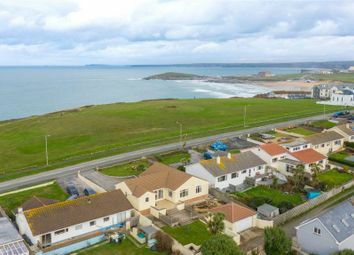 Radiator with trv, double aspect uPVC double glazed windows offering views over Crantock beach, coastline and West Pentire headland, TV aerial points. 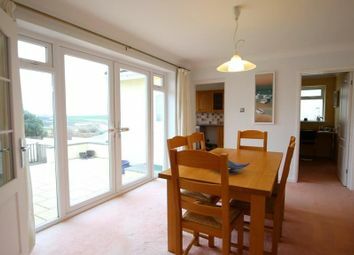 Bedroom One12'6" (3.8m) x 13' (3.96m) excluding built-in wardrobes.. UPVC double glazed window to the rear elevation with lovely views over Crantock beach and West Pentire headland, radiator with trv, telephone point, TV aerial point. 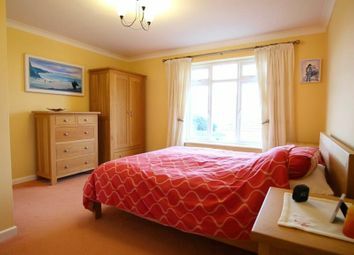 Bedroom Two12'9" (3.89m) x 9'11" (3.02m) excluding built-in wardrobe.. Radiator with trv, uPVC double glazed window to front elevation offering views over the Newquay coastline, TV aerial point. 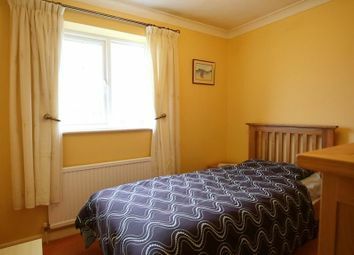 Bedroom Three8'8" x 9'7" (2.64m x 2.92m). 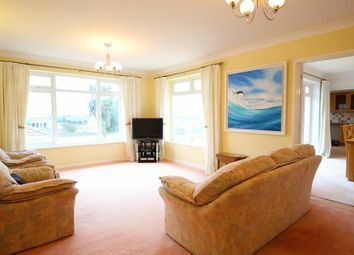 Radiator with trv, uPVC double glazed windows with sea views, TV aerial point. 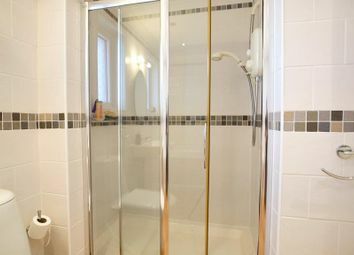 Shower Room5'8" x 6'2" (1.73m x 1.88m). 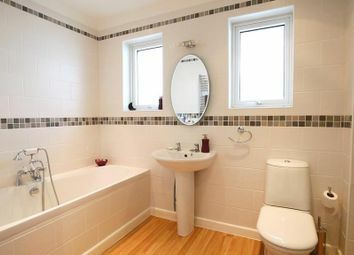 Tiled floor to ceiling, laminate flooring, heated towel rail with trv, uPVC obscure double glazed window, shower tray with electric shower over, spotlights, WC, pedestal wash hand basin. Bathroom8'8" x 6'2" (2.64m x 1.88m). 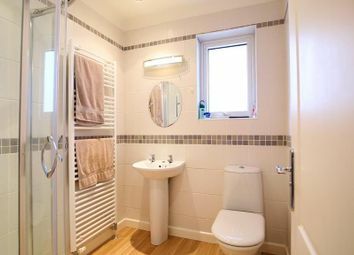 Two uPVC obscure double glazed windows to the side elevation, tiled floor to ceiling, spotlights, double shower with electric shower over, bath, WC and pedestal wash hand basin, heated towel rail with trv. 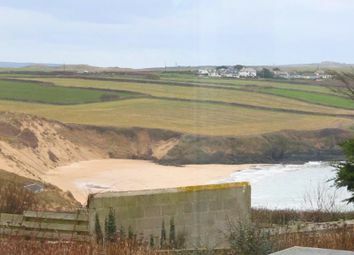 Outside To the front of the property there is a raised lawned garden with Cornish stone wall to front with rendered block walls to either side. There is a feature rockery and a range of mature shrubs. 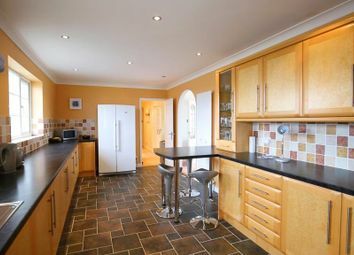 Access around both sides of the property leads to the rear garden. 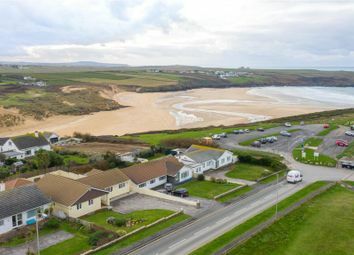 The rear garden offers a raised decked area offering fantastic sea views towards Crantock beach and West Pentire. There is also a raised area laid to shingle incorporating a pond and rockery. Outside electric socket and water tap. 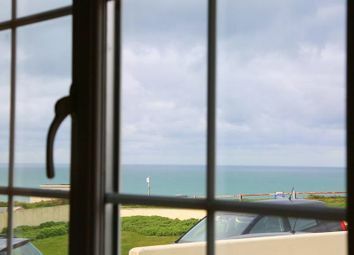 Steps leading down to the garage and a patio area adjacent to the dining room, providing a perfect vantage point to take in the superb views. 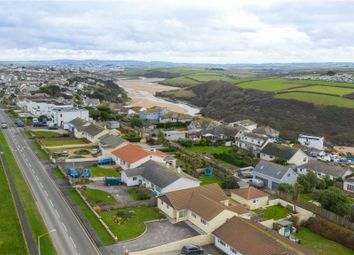 The remainder of the garden is laid to lawn flowerbeds and shrubs to borders with a concreted area perfect for barbeque or hot tub if required. 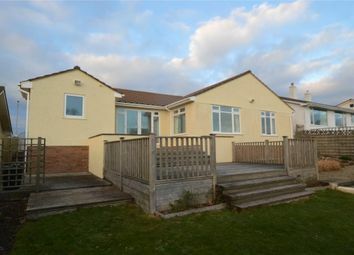 The garden is secured by rendered block walling with outside censored lighting to the front and rear of the property. 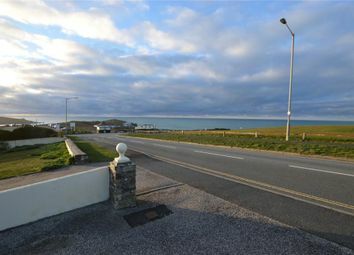 Tarmac driveway provides parking for several vehicles. Double Garage18'9" x 19' (5.72m x 5.8m). 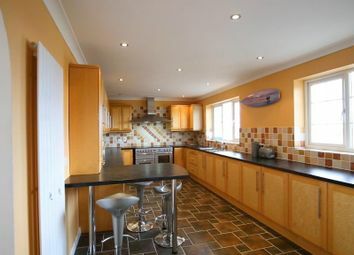 Block built detached garage with tiled pitched roof located at the rear of the grounds with light and power connected, uPVC double glazed courtesy door to the rear garden, uPVC double glazed window, electric fuse board, remote controlled electric up and over door to front. Outside censored lighting to front and side. Services Mains electricity, gas, water and drainage. 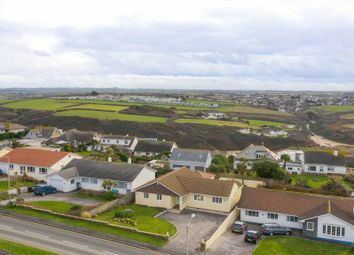 Council Tax Band E - As verified by Cornwall Council. 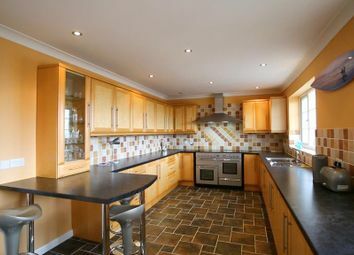 Viewings Strictly by appointment through Bradleys Estate Agents. 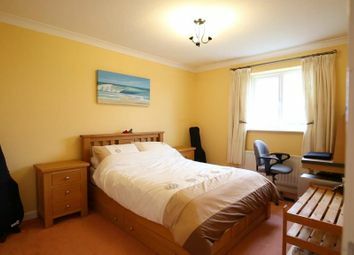 Website Visit our website at where you will find additional photographs. Want to know what people who know the area really think? Use the link below and see all the results for TR7 area.